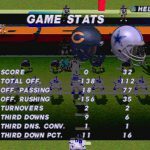 NFL Football – Madden Style! A huge shout out to Hugo D. for this surprise variant find. 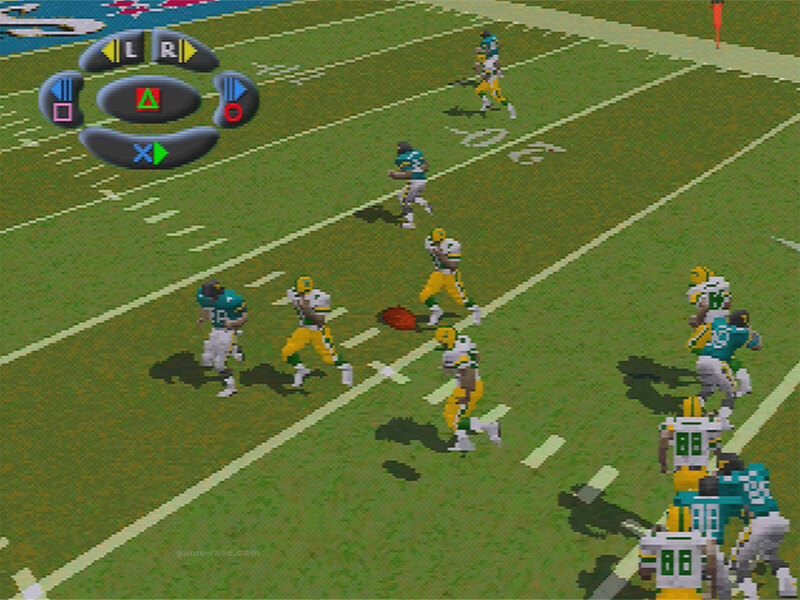 A “soft bundle” combo back that contained the then brand new Madden NFL 97 and the also then just published book All Madden. The game is the standard release sealed, and then the book was hand shrinkwrapped to it. 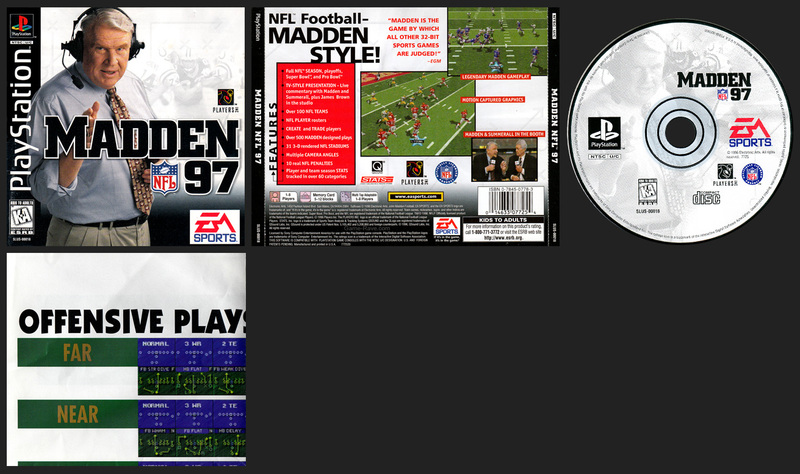 There is an authentic Electronic Arts retail bar code sticker on the back (ISBN: 0-7845-0966-2 / SKU: 0 14633 05785 0). The barcode is different from Madden’s retail sku, confirming it’s for the bundle. Thanks to it being a soft bundle, one only need buy another copy of Madden and the Book separately and keep them together to get the variant. Photos are from Hugo’s personal version. Once I have my copy of the book in hand, I’ll add proper scans. 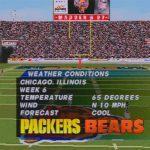 Game and All Madden Book Release. Here’s a daunting task: publish a yearly sequel whose previous version was cancelled for the next generation systems and not have extra scrutiny on it. 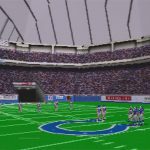 That was the problem EA Sports faced with the cancellation of Madden NFL ’96 on the PlayStation and Saturn. 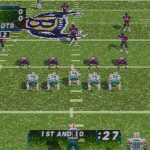 At the time, they actually faired extremely well with 97’s release, but now we’re having to review the game 20 years later. 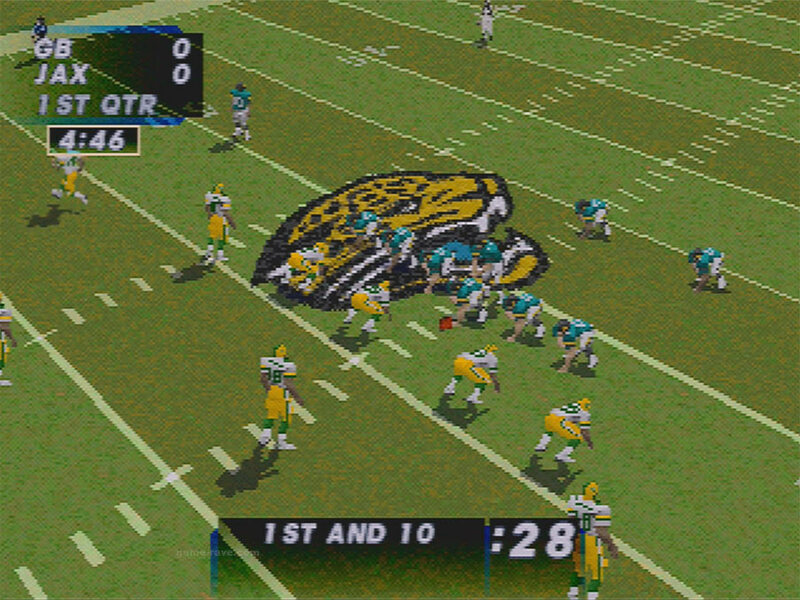 Thanks to the 3D stadiums, 8 different views are usable, with the 16 Bit ‘Classic Madden’ Cam returning among a few others. If you like watching the computer play against itself, the diagonal cam is pretty fun to use. These are really well designed, and look great in the upscaled environment of modern-day gaming. 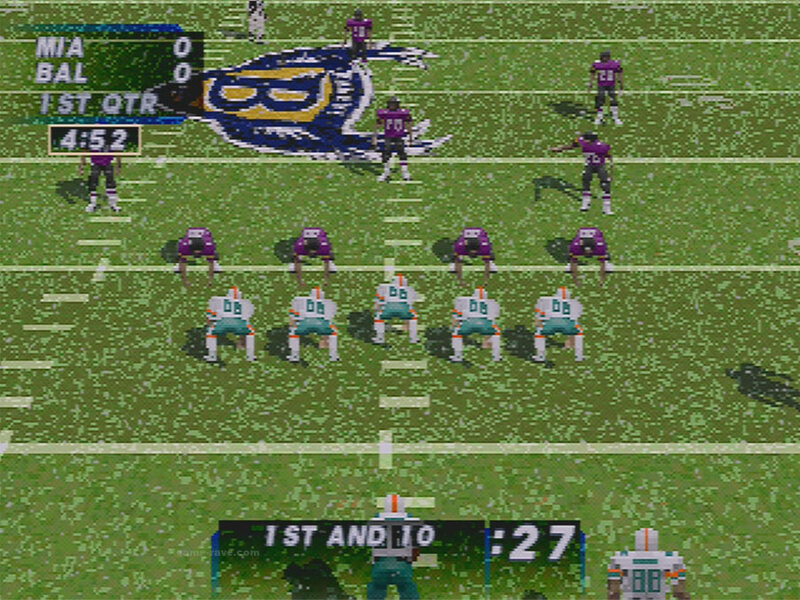 I do love how you can actually tell the difference between day light and the artificial lighting of a domed stadium. 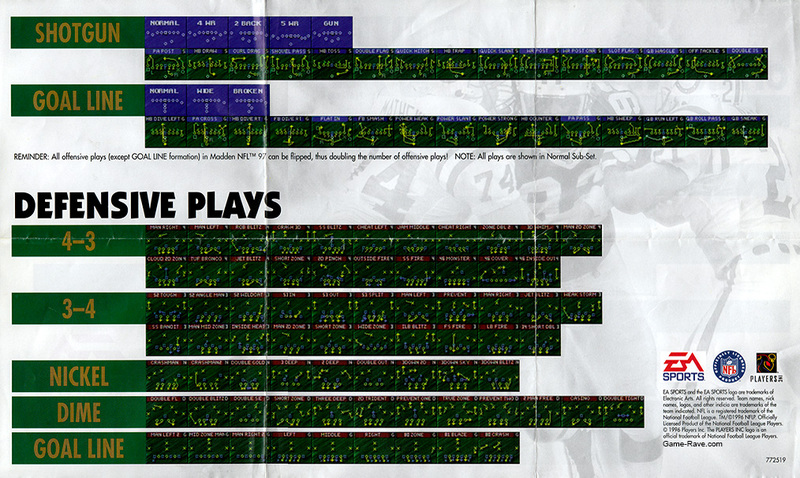 Madden shines in the audio department, including the little bells and whistles. 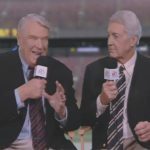 On field whistles and player calls, a crowd that cheers and chants when needed, and of course all the grunting and smashing sounds one would hope to hear in a football game. 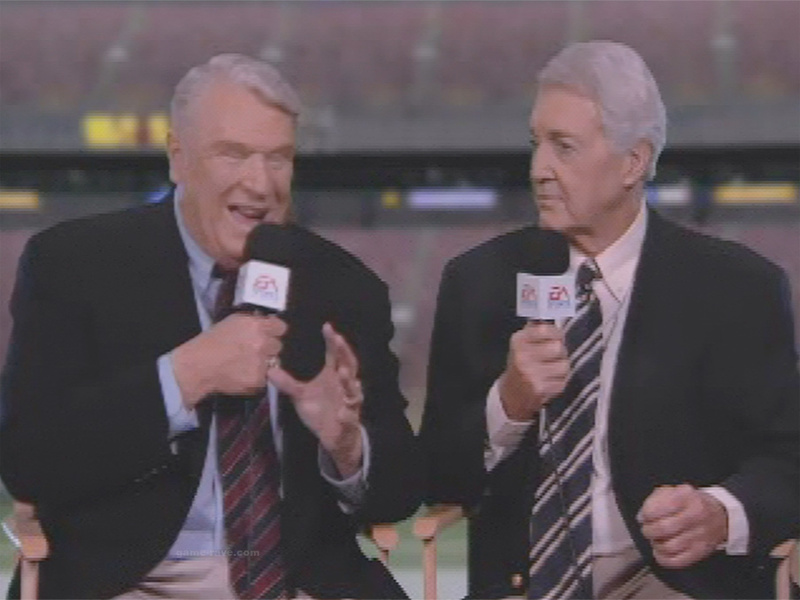 Pat Summerall and John Madden himself lend voice-overs during game play, but it’s fairly sparse and especially repetitive if marathoning a season. They have a pre-recorded discussion before the game, and it is so pure forehead-smacking common sense and stupid. If one were to have an above 5th grade level education, they’ll wonder how this was ever considered brilliant commentary. 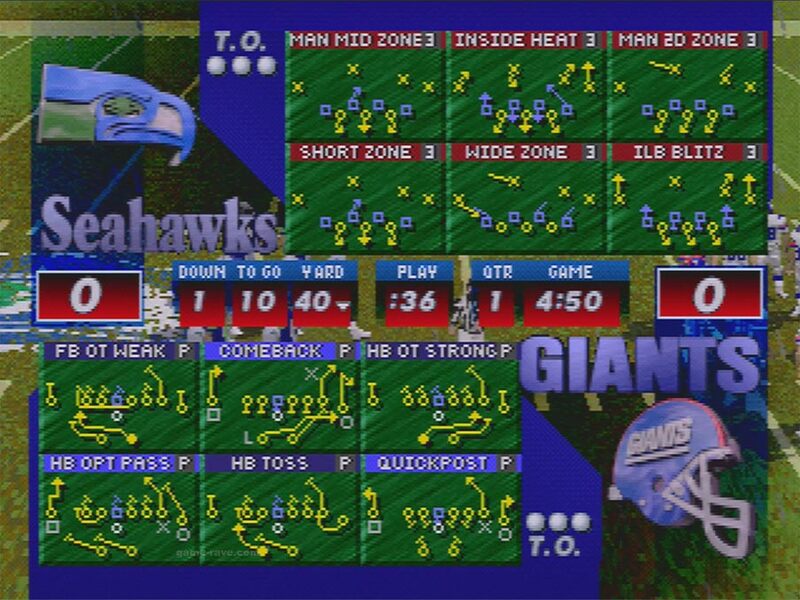 User experience is hurt by the game’s bizarre menu system. There are literally no on-screen prompts to let you know how to advance a screen or menu, aside from having to press the damn help button each page you turn. 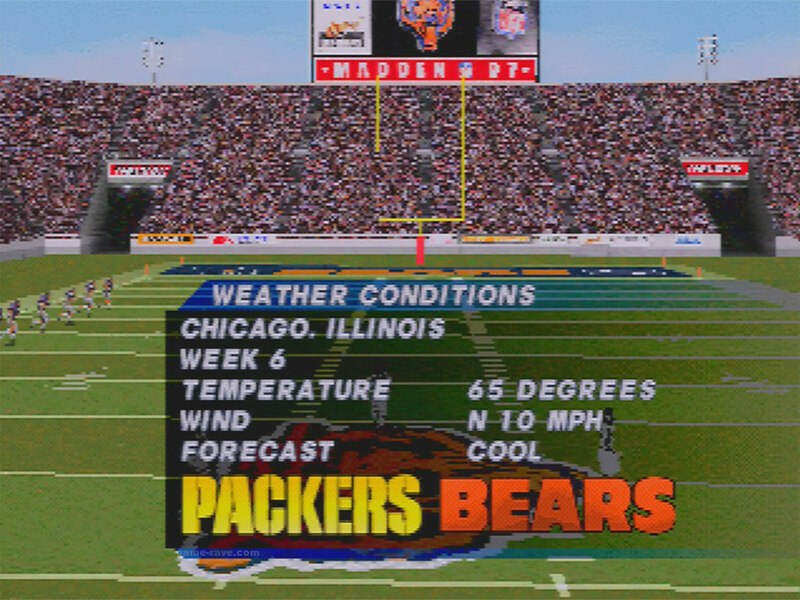 Saving a game requires the use of 3 different buttons, including the Help one to make sure you don’t accidentally save over your current season. In-game control is simple enough, so no real worries there. 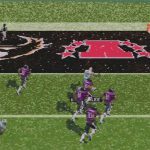 Season Mode is a bit rough in the difficulty department – if the gamer doesn’t get into football on a personal level, they’ll find themselves being thrashed constantly. 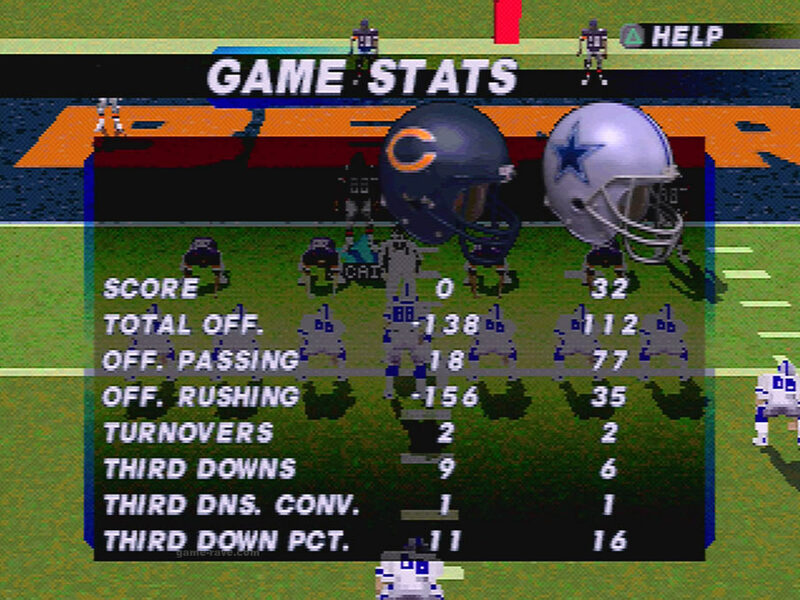 My first game resulted in over a hundred negative yards in both categories. If the gamer is more of the casual folk, stick to the Exhibition Mode. 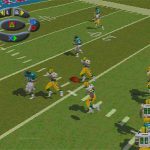 For those that care about such things, the game included classic teams, introduced the salary cap, and pre-filled free agents to peruse. 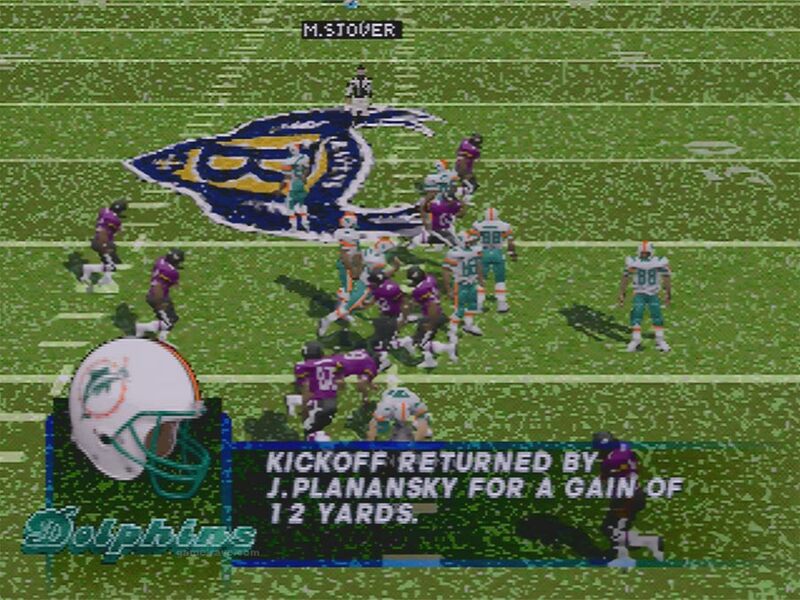 After 20 years, you wouldn’t expect a sports game with even older graphic styles to remain playable. 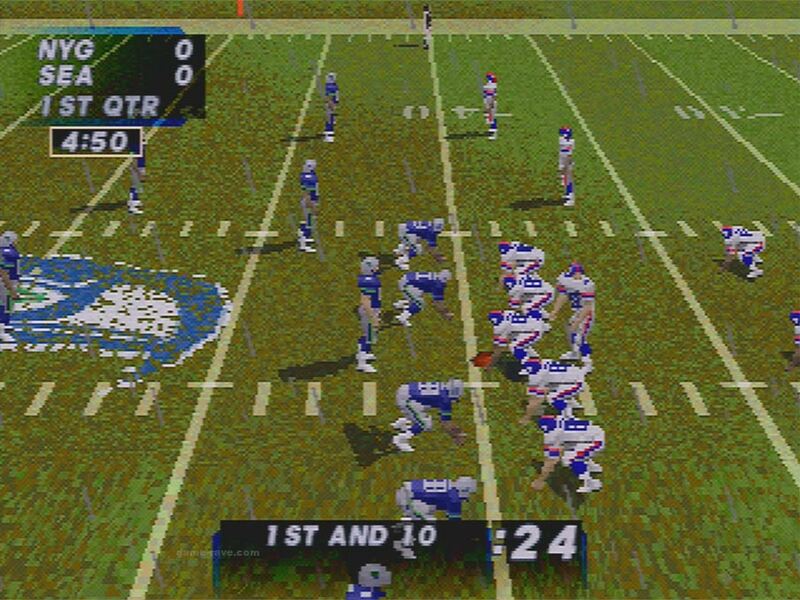 To my surprise, Madden’s first entry into the PlayStation is not only still playable, but still presents a challenge for sports folk who could use a good dose of nostalgia. 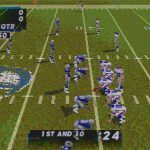 It’s decades-old football that despite dated assets, still holds up. A great bargain bin purchase to enjoy. 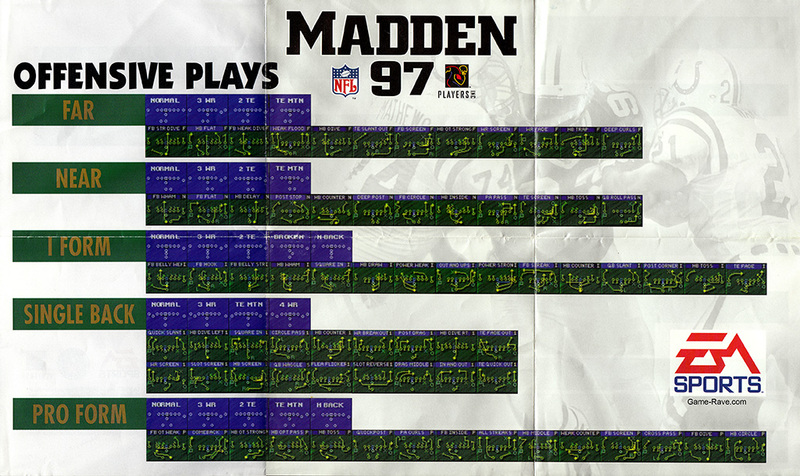 Madden NFL 97 included a two-sided poster showing the different plays you could call. 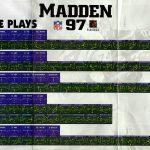 Madden NFL ’97 has very low SLUS / PSRM numbers, which means it may actually be living off of Madden NFL ’96’s information in the same way NFL Quarterback Club switched numbers. 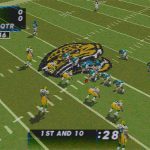 Modern televisions and upscaling devices can make classic games look super crisp, but in the process, visual trickery or laziness comes breaking through. 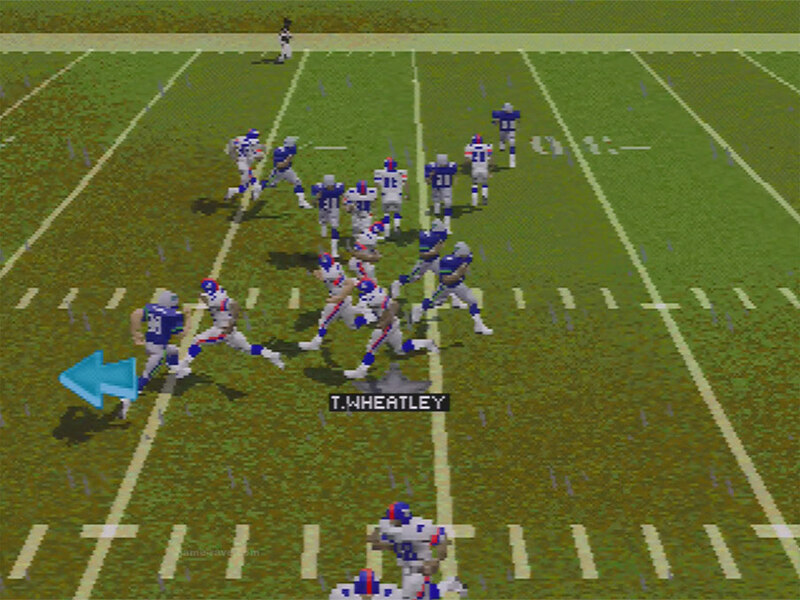 Upscaling Madden ’97 reveals that all players are number 88. 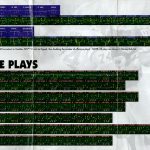 In 1997, a standard CRT would have made the numbers just blurry enough to make it look like they were different. 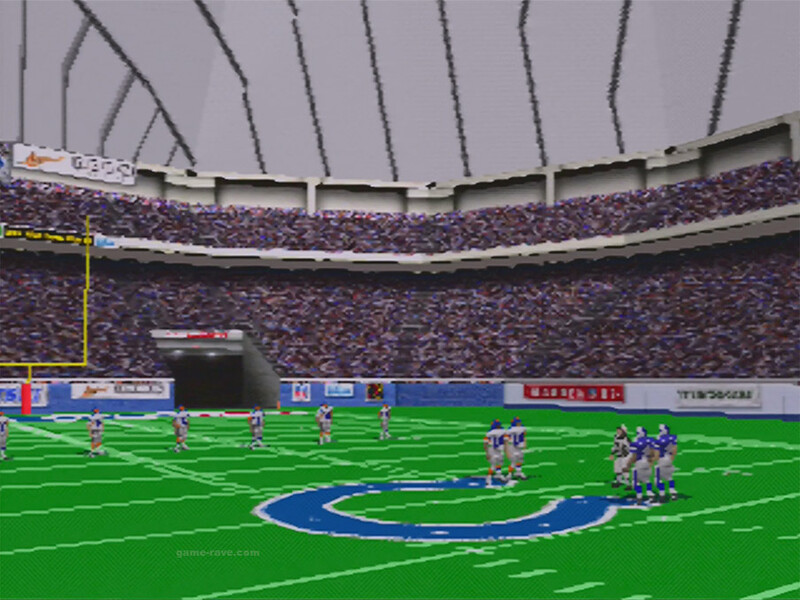 Based on the height of the kick, a successful field goal attempt may not actually go through the uprights completely. 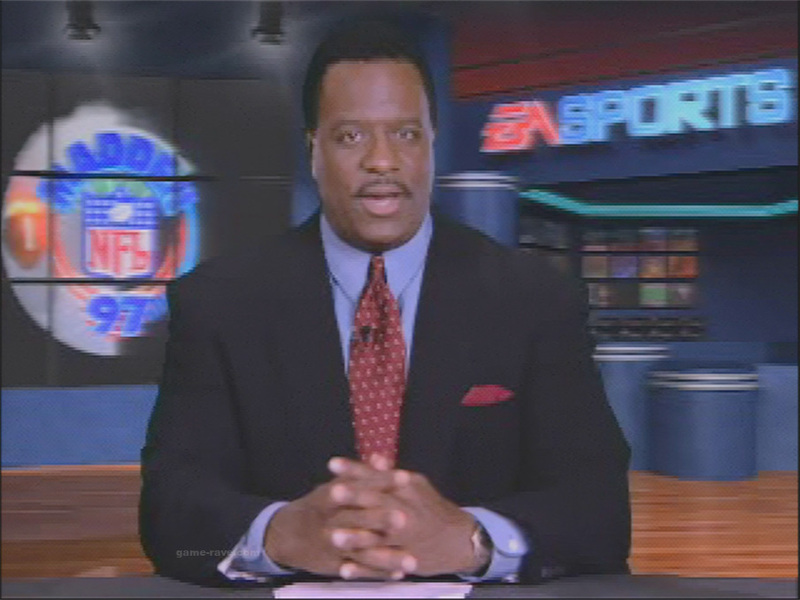 If you watch the ball’s shadow, it never crosses over the goal post. 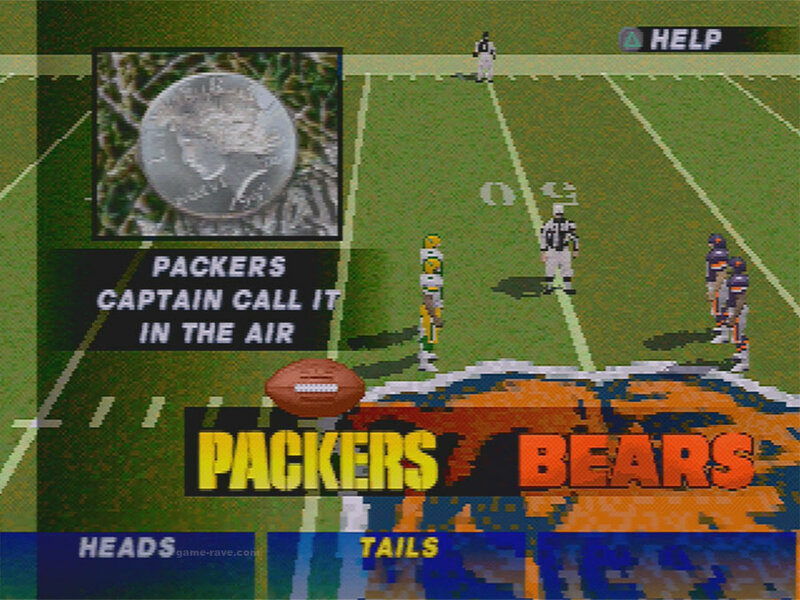 Meaning if the football is off camera, it more than likely just stops mid air. 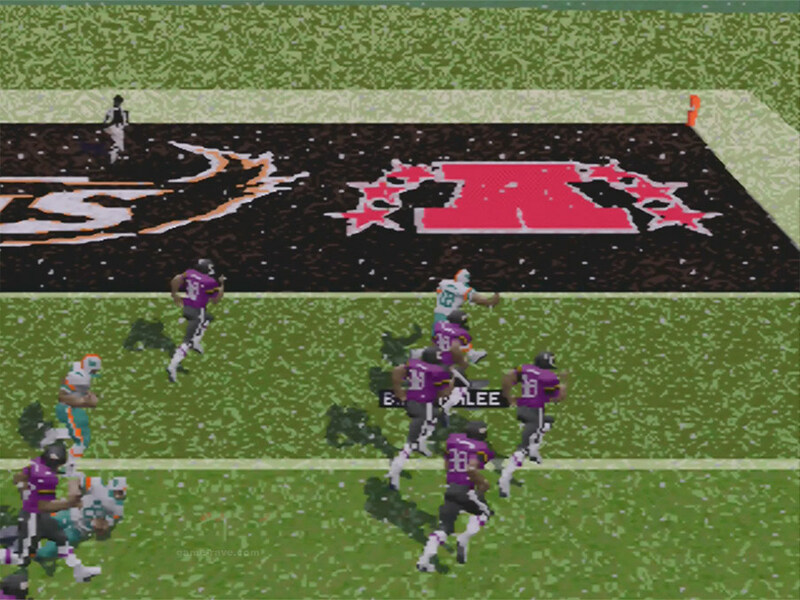 If you’re on defense, or returning a kick, the computer actually controls all players, even your highlighted one. You control it once you start pressing buttons, but if you feel like you’re failing you can take your hands off the wheel so to speak, and let the computer try helping out. 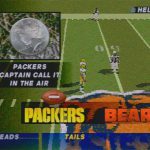 What was probably a programming oversight (this *is* EA after all), the computer does not understand when to properly run down the clock. 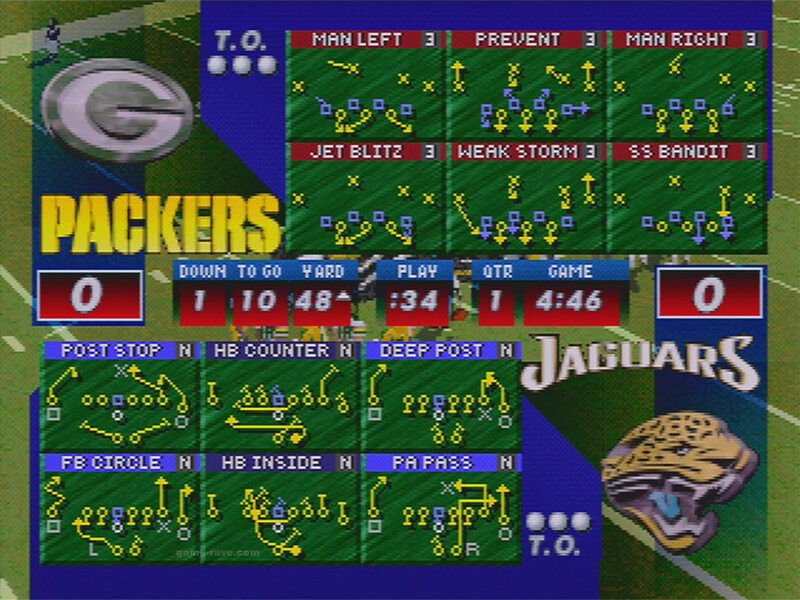 In a game where I was losing 23 to 0, with one minute left in the game, the CPU would take the entire clock to hike the ball, on every snap. The in-studio footage with James Brown is really well done with one minor mix-up. 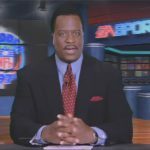 In some instances, he makes it sound like you’re tuning into Madden and Summerall at a different team’s game, when they are in fact calling your game.